A key part of the evolving US strategic response to communist China’s nouveau-imperialist agenda in the Pacific is to strengthen its alliance with democratic Malaysia. At first glance, the relationship between the two nations can appear painfully complex and riddled with unresolvable contradictions. Human rights issues and human trafficking in Malaysia remain the two major sticking points for the US congress in its outlook on Malaysia. On the other side, Malaysia is concerned about the successive US administrations’ bungling in Iraq. In reality, both governments have consistently maintained a clear understanding of each other’s motives, values, and actions. Since the independence of Malaysia from the United Kingdom in 1957, a majority of Malaysians have considered the US to be Malaysia’s most important and reliable ally. 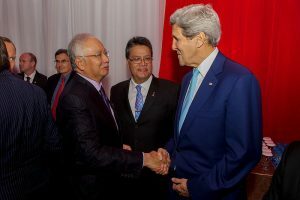 Overall, the US and Malaysian governments have done a good job in building a strong relationship between the two nations. The two countries don’t always agree on major policy issues, but neither has allowed those differences to prevent friendly cooperation. The average Malaysian adult probably understands more about the US than the average US citizen understands about Malaysia. For Westerners to understand US-Malaysian relations, it is worth first considering how Malaysians view their own sense of political and cultural identity. Religion is a big factor in Malaysian culture. Malaysia is a majority Sunni Muslim nation, and Sunni Islam is the official national religion. However, its constitution guarantees freedom of religion. According to Malaysia’s last national census, 61% of Malaysians identify as practicing Sunni Islam. The rest of Malaysians are 19.8 % Buddhists, 9.2 % Christians, 6.3 % Hindus, 1.3% percent practitioners of traditional Chinese religions, and 0.5% Jews. Understanding Malaysian Muslim’s sense of religion is critical to understanding Malaysian foreign relations. The Malaysian interpretation of Sunni doctrine is quite different from the Saudi Arabian or Pakistani interpretations. The fact that Malaysians included freedom of religion in their constitution clearly sets them apart from most Sunni majority countries such as Saudi Arabia, where practice of all religions except Islam is outlawed. Radical Sunni jihadis can be found in Malaysia, but they are a small minority, and they receive far less sympathy in Malaysia than they do in other Islamic nations. However, individual Malaysians choose to define their own personal sense of their Sunni practice, and the net effect is clear. Overall, Malaysians are far better equipped to deal with the non-Muslim segments of their own society and with the larger world beyond Malaysia than are other Islamic nations. A second major factor in Malaysian culture is its internal diversity. Malaysia was formed from several different and distinct kingdoms, each with its own unique history and culture. Malaysians have always accepted that their fellow countrymen are not all the same in cultural terms. This seems to have left Malaysians with a fairly cosmopolitan outlook. For a Malaysian, being different is not synonymous with being “bad” or “wrong.” Malaysia’s ability to accept other religions and cultures has had a major influence on its foreign policy. When the US is in conflict with other Sunni Muslim nations such as Iraq, the Malaysian government feels a need to publicly appear to be uncooperative with the US. In the case of Iraq, Malaysia has publicly disagreed with US foreign policy while quietly maintaining very close relations with the US. Malaysian Prime Minister Naijib Razak has made it clear that a critical aspect of Malaysia’s response to communist China’s aggression in the South China Seas is to further strengthen Malaysian-US relations. Razak is now facing new and substantial allegations of financial corruption, but thus far, they have not distracted him from his goal of further strengthening the US-Malaysian ties. On the US side, the US congress remains unhappy with human trafficking and human rights issues in Malaysia, but the White House has chosen to ignore those issues in order to further strengthen the US relationship with Malaysia. While communist Chinese aggression in the South China Sea is a major factor in US-Malaysian relations, it is not a new factor in the relationship. Malaysia has always been leery of communist China. When other issues such as trade imbalances or the US war in Iraq have caused friction between Malaysia and the US, the “China factor” has been an overriding influence that keeps the two countries close. A second major factor for Malaysia’s consistency in seeking close relations with the US is Indonesia. Malaysia’s much larger Indonesian neighbors have consistently resisted close relations with Malaysia. Indonesia serves as a second near-guarantee that Malaysia will remain close to the US, but from the US point of view, it complicates efforts at building a strong regional cooperative response to China’s current imperialist agenda. In practical terms, the strengthening alliance between the US and Malaysia will manifest itself in increased joint training and an increase in Malaysian military spending. Malaysia’s concern over the US war in Iraq will not derail US-Malaysia relations. The current US administration and the two major candidates for the next presidency will not allow human rights issues in Malaysia to define US-Malaysian relations. 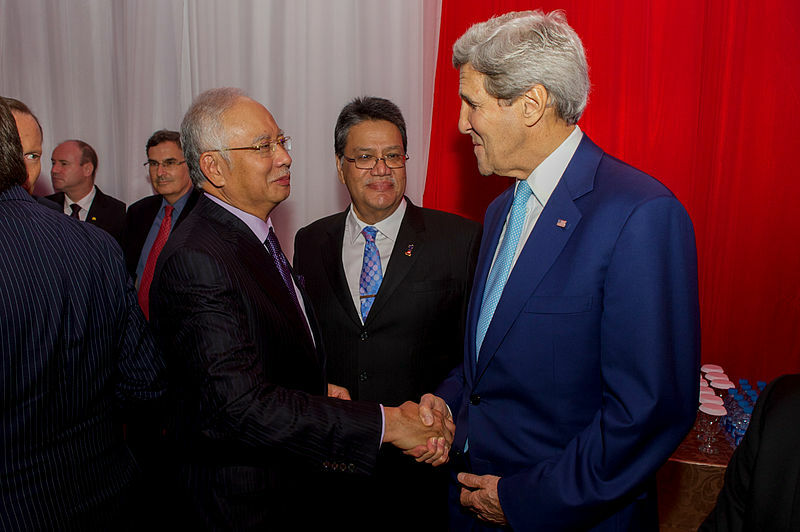 The US-Malaysian relationship will continue to appear fragile and complex, while in reality, it will remain strong. Communist Chinese dictator Xi Ping will continue to use intimidation as his primitive and blunt diplomatic tool of choice. Unfortunately for China, Malaysia is listening and taking him seriously. In our next installment, we will consider the US-Indonesian relationship.